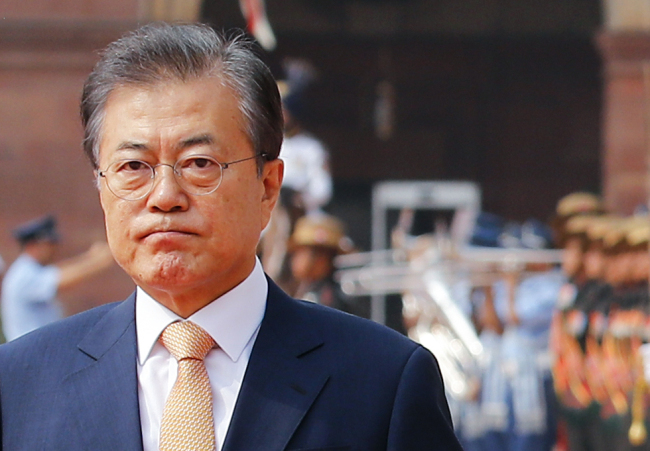 President Moon Jae-in is set to replace some top government officials but the move will likely take more time than expected, an official from the presidential office Cheong Wa Dae said Wednesday. “How could I know what will come in the future, but what I can say for certain is that it will not be this week,” Cheong Wa Dae spokesman Kim Eui-kyeom told reporters, partly confirming the plan to replace some of government ministers. The Cabinet reshuffle, if it takes place, will be the first of its kind after Moon took office in May 2017. Still, the move had long been anticipated since then Agriculture Minister Kim Yung-rok resigned in March to run for governor of South Jeolla Province in the June 13 local elections. The Cheong Wa Dae spokesman on Tuesday said the only requirement for any upcoming Cabinet reshuffle was to fill the now vacant seat of the agriculture minister.